DR. KEITH PRESENTS: World Tag Team League!!! 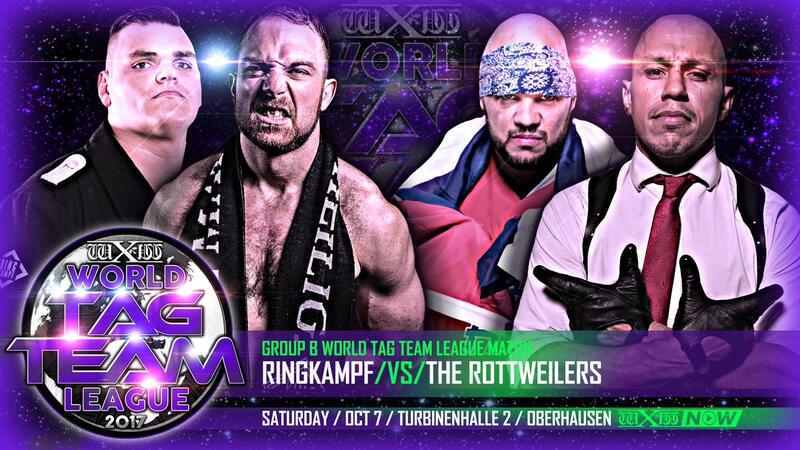 German/Irish relations are once again sky high as STRIGGA returns to the DKP to look ahead to wXw's huge World Tag Team League this coming weekend. It's a stacked lineup for what will be a busy couple of days in Oberhausen. Alan and STRIGGA preview it all, from the dream matches of the B Block to the storyline implications of the A Block. There's also some major singles action to look forward to as Bad Bones defends his title against 16 Carat Gold winner Ilja Dragunov!!! A really fun show. CHECK IT!!! DR. KEITH PRESENTS: Catch & kebabs in Germany! DR. KEITH PRESENTS: A lovely weekend of wrestling! April 29 - DR. KEITH PRESENTS: The Alan & Dean ProWres Viewing Machine!!! DR. KEITH PRESENTS: The End of the Road!